pas de limite d'âge ! HOW MANY many influences can affect your daily life? They may be physical, mental, emotional. Some can be joyful. Some can be painful. By now, you know that these influences can be tempered by your attitude. The Self Portrait "guided tour" offers a fresh perspective in this practical life art series. A new look in the mirror may go a long way toward HEALING HEARTACHE and re-enchanting a vision of self in the world. In even a seemingly small way, and no matter how old you are, when you are curious, attentive, and openhearted you can hold steady in life currents and let go of the negative affects of ageism. 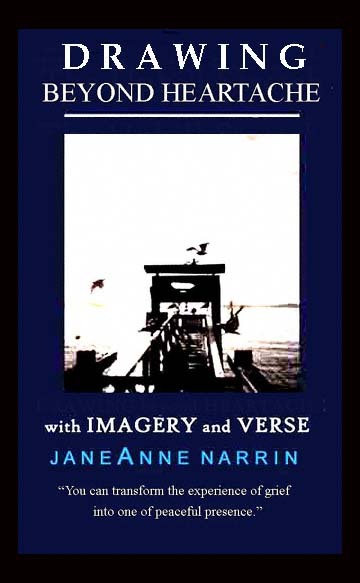 This small but substantial book offers you the self-guided experience of transforming heartache into peaceful presence. In a simple seven-step process you can “re-wire” your “circuitry” to create or re-energize that very peaceful presence— on many levels . Be True to Yourself- When you take an honest look at yourself- asking and answering questions about your stance and/or attitude. you can make a difference in the quality of life for yourself and, hopefully, inspire others. A positive perspective - a positive attitude -a positive look at lifestyle choice starts with you. Here is a self-portrait quiz- both fun and enlightening. Just below, you will find a Ten Question Quiz. It is a For Your Information (FYI) only. No wrong or right answers, and only for you to review. Here you may generate a self-portrait from a "stylish" perspective. If you are not already practicing good nutrition, might you choose to do so? Do your fashion and apparel choices represent Your Own Look? Do you “stay connected”- family, friends, social, online activities, etc.? Possibly so, but maybe not. Do you acknowledge others/ express appreciation- cards?calls?tweets? Is Aging-in-Place (stay in your home) a choice one that attracts you? You may be surprised at how answering just these few simple questions can shed light on the overall influences that can affect your OUTLOOK on life. Whether related to choices made in appearance, relationships, or a general way-of-being-in-the- world, you can reveal new perspectives. On whatever level you examine your life today, most people believe their experience needs to make sense to them. 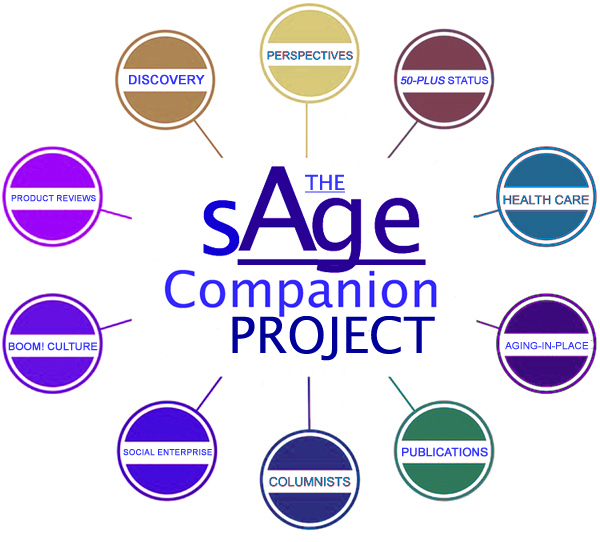 The Sage Companion Project joins you as we stretch our natural inventiveness and pinpoint a self-portrait appropriate for a life well-lived. So many personalities. So many variations. Where is the starting point for making choices? Perhaps it is with healing heartache we all experience in life... .
Joan Borysenko, Harvard Medical School-trained cancer cell biologist, a licensed psychologist, and a New York Times best-selling author wrote: “The stories we habitually tell ourselves change our brain circuitry, our relationships, and our path through the world. They can elevate life to heaven on earth, or drop us unceremoniously into the fire.” This self-guided series from The Sage Companion Project applies Borysenko's advice, proposing that we can look anew at our own self-messages and re-energize enjoyment in our lives ... regardless of age or physical ability... .
"Voltage" is that energy for life, that joie de vivre, that special intensity that comes with wisdom earned over decades that happens when combined with a positive attitude and curiosity. It emanates- like auspicious moments on a sunny day- from those who tap into their own potential and can influence all around with pure possibility.